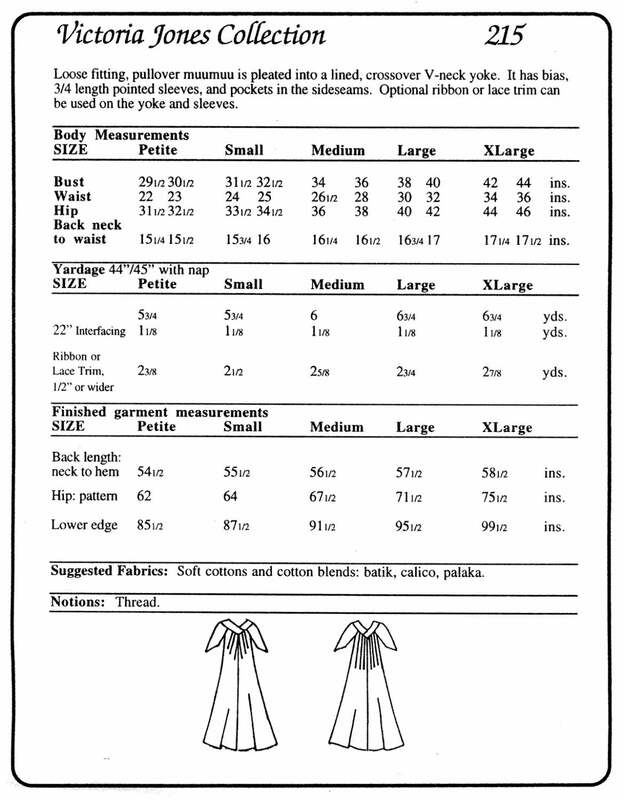 Loose fitting, pullover muumuu is pleated into a lined, crossover V-neck yoke. It has bias, 3/4 length pointed sleeves, and pockets in the sideseams. 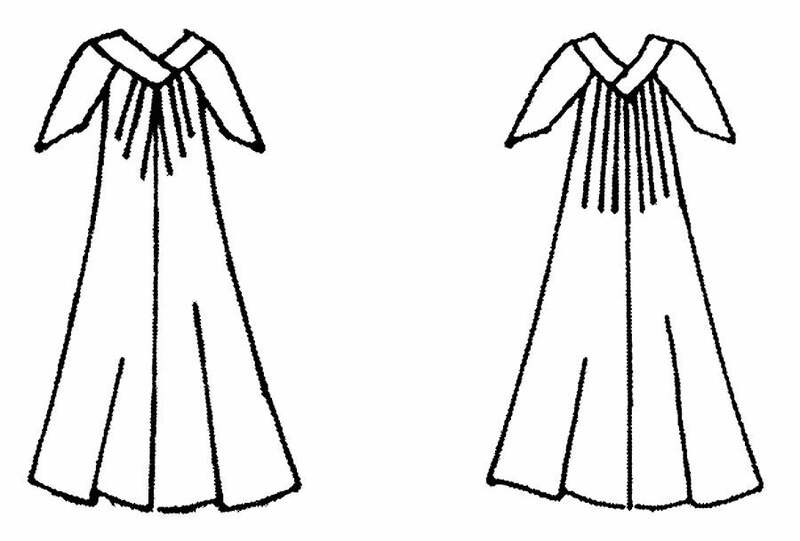 Optional ribbon or lace trim can be used on the yoke and sleeves. 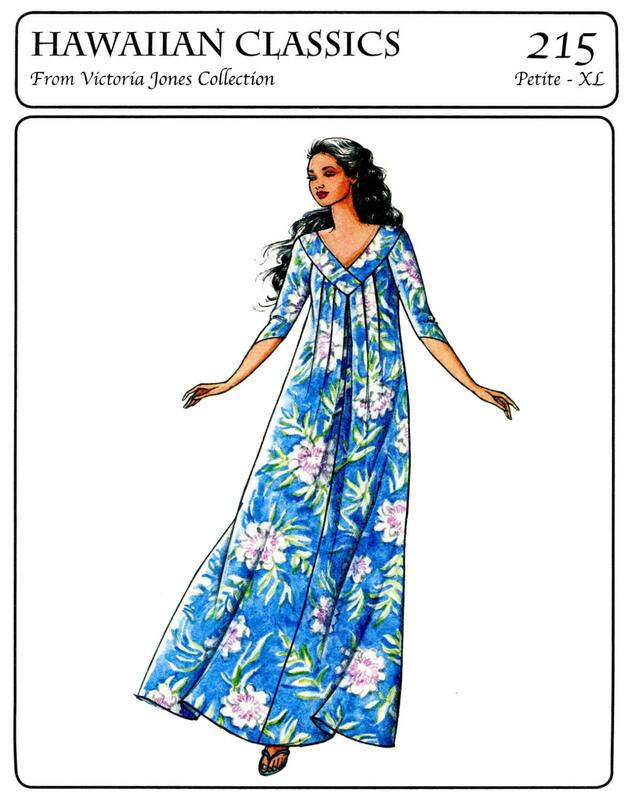 Suggested fabrics: Soft cottons and cotton blends: batik, calico, palaka.